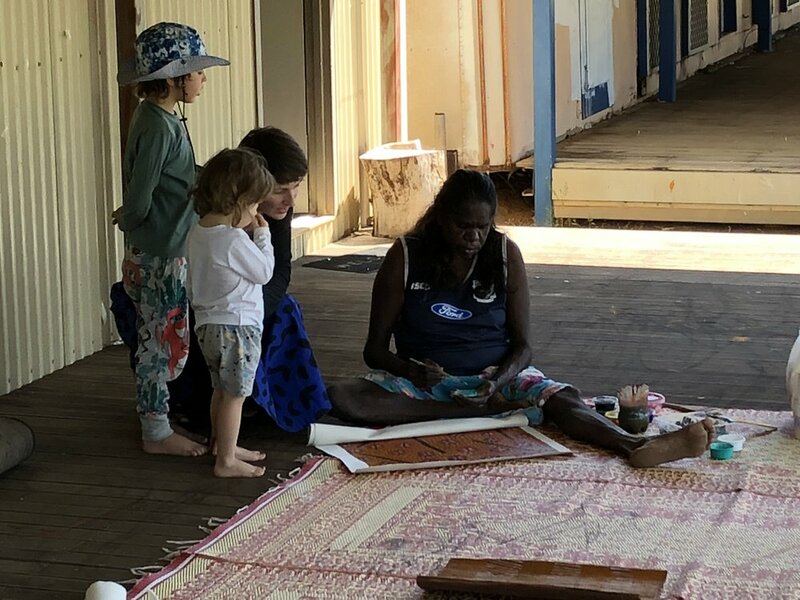 In August 2018 Durrmu Arts Aboriginal Program debuted the Marrgu Residency Program in partnership with the Peppimenarti community. Marrgu offers a unique opportunity for artists and creative practitioners to engage with the community in a valuable cultural exchange. 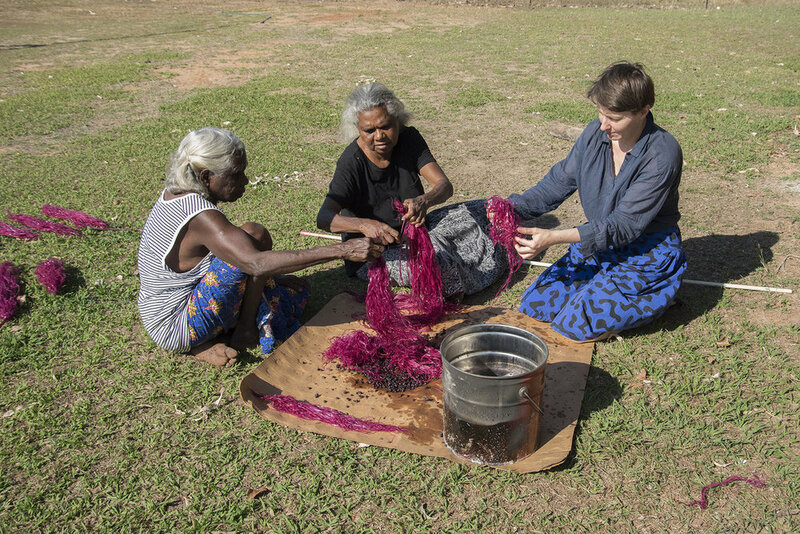 The word ‘Marrgu’ means ‘knowledge sharing’ in Peppimenarti's Tyemirri language - a concept that underpins what this once-in-a-lifetime program is all about. Our first Marrgu resident was Sydney based visual artist and Professor at UNSW Art & Design - Izabela Pluta. Pluta is a Polish born, Australian artist whose practice focuses on the misalignment between spatial and temporal experiences and states of displacement. Her creative process relies on immersing herself in specific locations to explore how place is manifested, and how we form relationships with that which remains. Izabela was invited to live and work in Peppimenarti alongside our amazing artists and community leaders. Arriving in August, Izabela (joined by her family) participated in daily life and learning for 10 days as if a part of the community. We invite you to be part of what was this incredible experience!